Paul Ridd, whose care on the ward was described as dire. 'Never again; that's what I resolved,' says Melanie. When Melanie Davies joined ward G at Morriston Hospital in Swansea, an investigation into the death of a patient with severe learning disabilities was underway. Now, thanks to her determination and commitment, the ward is leading the way in quality care for patients with learning disabilities. 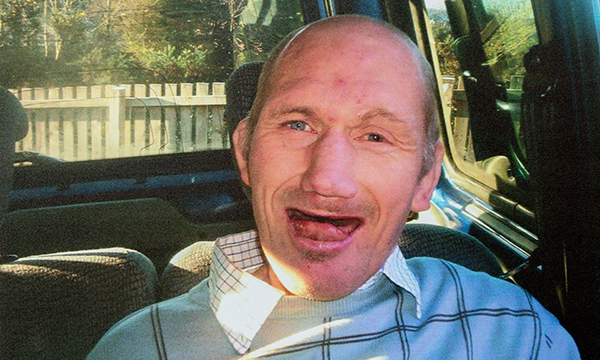 An ombudsman's 2011 report criticised the care received by Paul Ridd, a happy, much-loved brother in his fifties, as 'dire'. He died on ward G, a surgical ward specialising in upper gastrointestinal and pancreatic complaints, in January 2009. Melanie joined as ward sister in December 2010. Paul Ridd died after being transferred from intensive care. Poor care and a lack of training contributed to his death (see box). 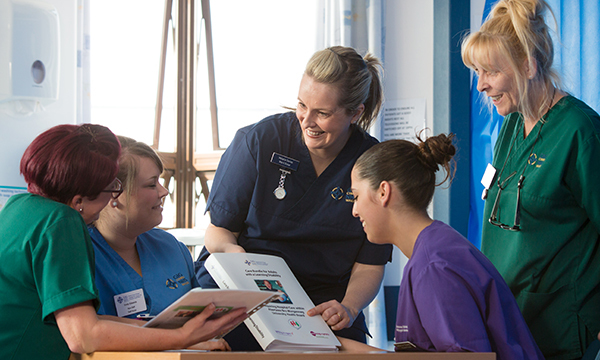 For six years after joining the ward, Melanie advised colleagues, developed information packs, delivered training and developed a network of champions, mostly in her own time. Now her achievements, passion and commitment, have been recognised with the nurse of the year title, the profession's top accolade. Melanie was not naïve about the kind of care people with learning disabilities often received in acute settings, having previously complained about her uncle's care. 'It was the whole culture on the ward though,' she says. 'This was someone who was completely dependent on us and it sickened me to hear what had happened to him. She set about addressing attitudes on the ward and developed an information pack to make it easier for staff to meet the needs of people with with learning disabilities. 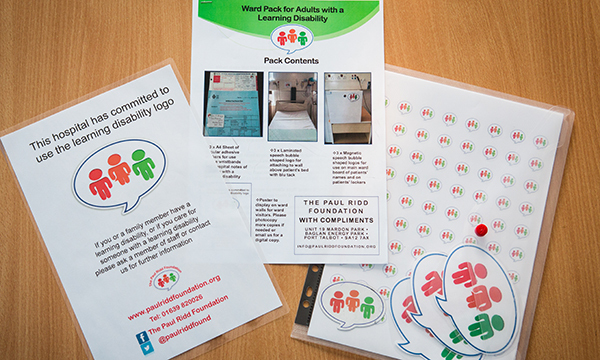 The information pack has communication and traffic light assessment tools, as well as magnets and stickers with helpful contact numbers, which enable reasonable adjustments to care. For Melanie, the pack's traffic light assessment documentation is crucial. 'It is completed by someone who really knows the patient,' she says. 'It includes things we should know, things we need to know and things the family would like us to know,' she says. Melanie started delivering informal training sessions on the wards, explaining the packs and its tools and firmly establishing herself as the hospital's go-to person for advice when a patient with a learning disability arrives on the ward. 'I built relationships and shared good practice ideas with staff whenever I could.' Staff rang her on and off shift – 'if they were stuck, they knew they could call me any time'. The packs and the training were rolled out across the hospital, and then spread to the Abertawe Bro Morgannwg University Health Board. 'It grew from there, and more and more people came on board,' Melanie says. 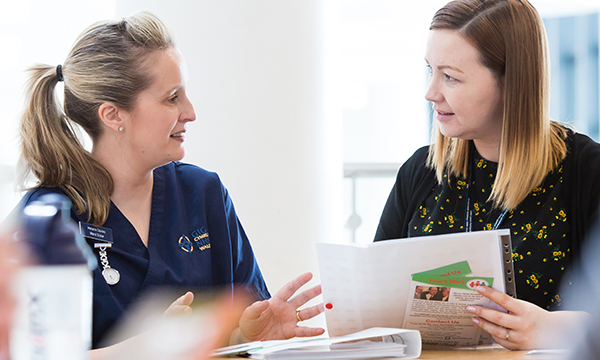 The pack has been used as the foundation for the care bundle developed as part of the Welsh assembly's 1,000 Lives campaign, which is being promoted across NHS Wales. In addition, a fundraising ball for the Paul Ridd Foundation raised enough money to cover the costs of 1,200 information packs, enough for every ward and department in Wales. She also arranges for patients with learning disabiliities and their carers to visit the hospital before planned admissions so they can familiarise themselves with the environment. Before discharge, the multidisciplinary team who have been caring for the patient in hospital also meet with the patients' carers. 'We now tell parents and families what to expect at every step,' says Melanie. Changing the ward culture 'took a long, long time', she says, but there is now a network of 170 trained learning disabilities champions across the health board's four sites. Their names are on ward noticeboards, so that staff know who to turn to with any questions or issues about learning disabilities care. Melanie now wants to work more closely with parents, carers and families and to see learning disabilities training made mandatory. Also on her to-do list is delivering teaching sessions to nursing students, and the ongoing development of an e-learning platform for learning disabilities training. Morriston Hospital's lead nurse Tina Smyth says: 'We are so proud of Melanie. She has been a pioneer in changing attitudes and behaviours towards patients with learning disabilities from passive to passionate. 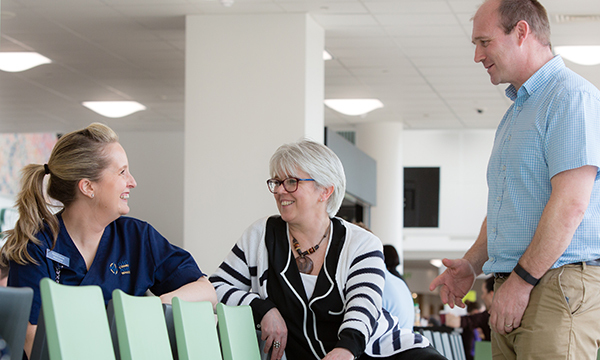 Her own passion for patient-centred care and her willingness to go the extra mile is abundant. RCNi editorial advisory board chair Caroline Shuldham, who was on the nurse awards judging panel, highlights Melanie's empathy and 'great determination to effect change'. There has been a fall in complaints related to learning disabilities care since Melanie started her work, which has been evaluated qualitatively through patient stories and carer/relative feedback. Given this damning conclusion, the endorsement of RCN Nurse of the Year 2017 Melanie Davies by Paul Ridd's family is perhaps the most important of all. Paul Ridd, who died on the ward, was subjected to a 'dire level of care', the ombudsman found. The first time she met Paul's sister Jayne, Melanie was presenting a story of care for a patient with a learning disability. Melanie with Jayne and Jonathan Ridd. 'If Paul had been on ward G today, we believe he would still be alive,' says Jonathan. Jayne and Jonathan Ridd applaud the 'fundamental change' Melanie has led at the hospital and beyond, and acknowledge the support she has given them professionally and as a volunteer for the foundation set up in their brother's name. ‘Melanie guides and inspires other NHS staff with her high standards and values. By following her example, the standard of care for patients with learning disabilities is increasing enormously throughout the hospital', says Jonathan. 'Her outstanding communication skills enable her to connect with individuals and deliver clear information. As the brother of someone who had profound learning disabilities, I know this is essential. Her genuine care for others sees her following patients' journeys throughout their hospital stay, ensuring any requirements are met, securing a safe and stress-free discharge, and that continued plans are in place for their healthcare once they leave hospital.